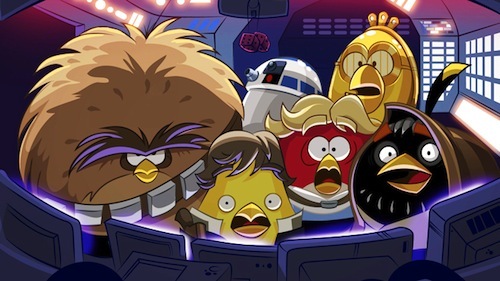 Angry Birds Star Wars coming to a console near you! 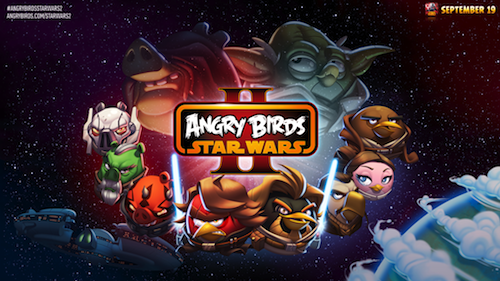 Angry Birds Star Wars II is launching on mobile platforms this September. However, its predecessor arrives on every current gen console known to humankind this October. The console versions will contain 20 exclusive new levels, as well as brand new competitive and co-operative multiplayer modes. Is this the script for Star Wars: Episode VII? 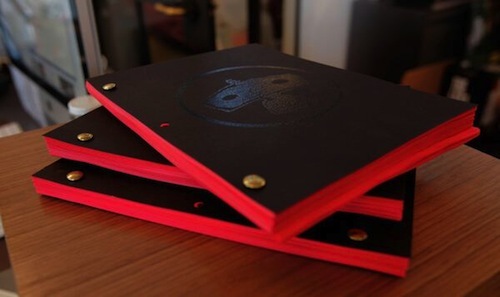 With enigmatic flair, JJ Abrams' production company, Bad Robot, tweeted an image of some scripts with the description "Hot off the presses. Can you guess what's behind the cover? #FoundAtBR #MysteryScript"
Is this Oscar-winner Michael Arndt's script for Star Wars Episode VII? In a nod to Activision's Skylanders and the upcoming Disney Infinity. Rovio is joining forces with, fellow Star Wars licensee, Hasbro to bring interactive toys to the franchise following last year's standalone tie-in with the Pawtucket-based company. Players will be able to buy playsets called Telepods, which can be scanned with your iOS and Android devices to "teleport" that character directly into the game. 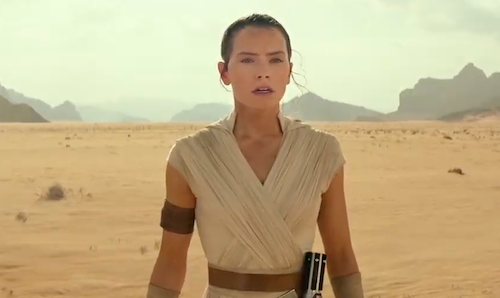 "Some of the most amazing character additions are versions of young Anakin, Mace Windu and Darth Maul," said Rovio's executive vice president of games Jami Laes in a statement. 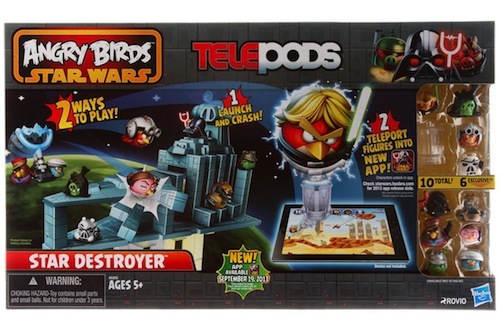 "Hasbro's Telepods technology also provides a great way to extend the experience beyond the app and bring a whole new dimension to the gameplay." More than 30 toy characters will be available when the game launches on September 19th. Also, look out for Return of the Jedi in the original Angry Birds Star Wars! Excited? Sign up for a free 30 day trial here. 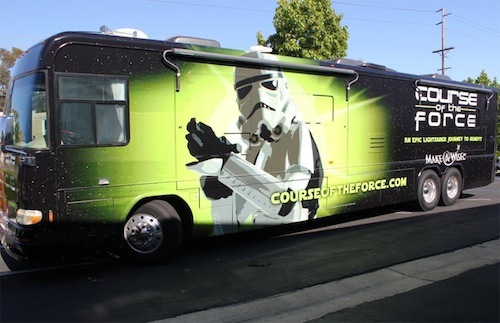 It is a time of peace in California thanks to the inaugural Course of the Force, a charity lightsaber relay down the coast to San Diego to benefit the Make-A-Wish Foundation. 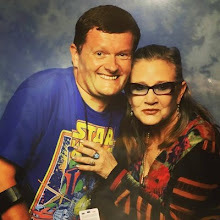 But the Make-A-Wish Foundation is still in need and the Course of the Force High Council has been summoned a second time. Starting at Skywalker Ranch runners will carry the lightsaber down to the 2013 Comic-Con International in San Diego.